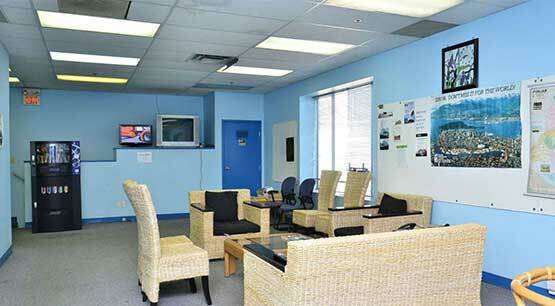 Quality Truck Repair & Body Work in Delta, B.C. | ATI Truck Repair Ltd. State-of-the-Art Heavy Truck & Trailer Repair in Delta, B.C. ATI Truck Repair Ltd. is a state-of-the-art, family-owned heavy truck and trailer repair facility serving the Lower Mainland area of British Columbia, Canada. 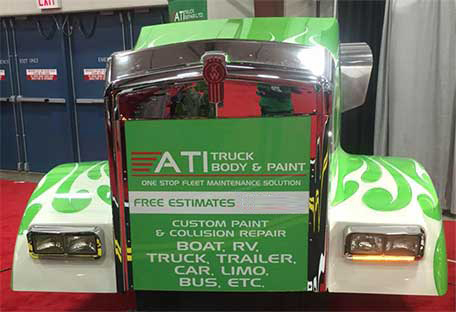 In 2003, our business was founded on the principle that excellent service is always remembered, not price, and over the years, ATI has emerged as a trusted name in the heavy truck collision repair and service industry. Based on our constant goal of achieving 100% customer satisfaction, and the hard work of our dedicated team, we have attained recognition as one of the most reliable full-service trailer and truck repair facilities in British Columbia. Call (604) 940-1080! Our team of professionals work hard every day to keep trucks and trailers safely on the road. Our large, 14,000 square-foot repair facility can meet and exceed your service expectations. Whether it’s engine or body repair, our team of service experts, mechanics, and body technicians have the equipment and tools to complete every job right the first time. When it comes to CVSE inspections, we do thorough, proper inspections, with no compromises where safety is concerned, and we’ve earned an excellent reputation with the DOT. Our rates are very competitive to other shops in the Delta area, but our service is second to none. Engine RepairOur mechanics are first-rate. Paint & Body WorkWe keep trucks looking good. Trailer RepairYour cargo will be secure. Roadside ServiceWe’ll bring our shop to you. Guaranteed WorkWe stand behind our services. DOT InspectionsWe have a great DOT reputation. Upfront EstimatesYou’ll get a written estimate fast. Time CommitmentWe get repairs done on time. When you bring your truck to ATI Truck Repair, our professional staff will help you every step of the way, whether handling an insurance claim, identifying a truck or trailer issue, or simply keeping your fleet vehicles on the road and looking good. We understand it’s stressful when your truck is off the road, so we do everything we can to make your time with us comfortable, convenient, and as short as possible. The most important people in our shop are our customers. Treat customers like they’re signing our paychecks. Provide the best value for every dollar spent on repairs. Always maximize vehicle uptime and minimize downtime. Our facility is in the Tilbury Industrial Park area at 6-7945 Alexander Road in Delta, British Columbia, conveniently close to the Nordel Way Scale at the River Road and Highway 17 intersection. We serve truck drivers and fleet owners from all over the Lower Mainland, including Annacis Island, Delta, Ladner, Tsawwassen, Surrey, Burnaby, Richmond, Vancouver, and New Westminster. We’re proud to be one of the first truck repair shops established in the area, and we look forward to continuing our reputation as one of the best. It’s no “accident” ATI Truck Repair is known as one of the top truck and trailer repair shops in British Columbia.